Dishonorable is an apt description of the behavior of Rep. John Lewis who refused to attend the Civil Rights Museum opening in Mississippi where President Donald Trump spoke on behalf of our nation at the invitation of the governor of Mississippi. In the true form of a disparaging cynic, Rep. Lewis would have condemned President Trump if he had turned down that invitation. 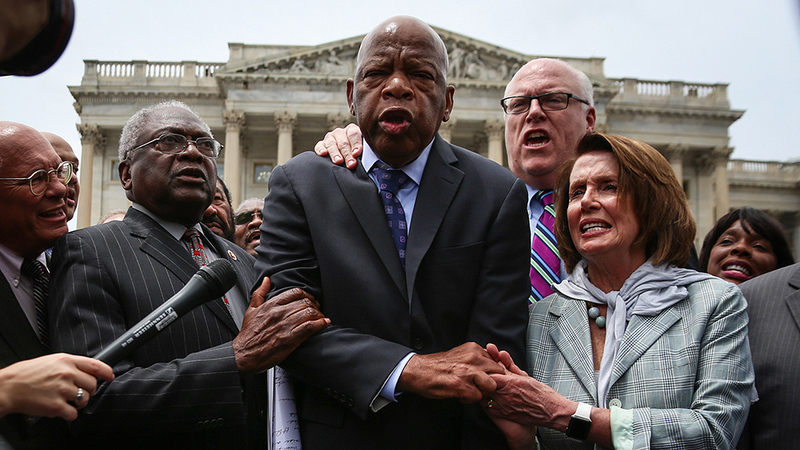 Reprehensible is how Rep. Lewis has aligned himself with the racist Democratic Party he was fighting during the modern-day1960s civil rights era. The Democratic Party was sued for their 200-year history of racism by Wayne Perryman and the case went all the way to the US Supreme Court. In his lawsuit, Perryman describes how the Democratic Party became known as the "Party of White Supremacy" that fought to preserve slavery and enacted discriminatory laws to deny civil rights to blacks. Perryman also wrote a book called “Whites, Blacks and Racist Democrats: The Untold Story of Race & Politics Within the Democratic Party from 1792-2009” that includes a copy of his lawsuit. Rep. Lewis has shamefully sold his soul to the racist/socialist Democratic Party for thirty pieces of silver and become a modern-day Judas. Will he ever be held accountable for his complicity in the destruction of black neighborhoods?